Souljah Boy Is About To Be An EVICTED Boy! 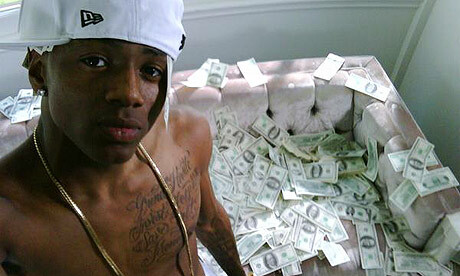 It has been reported by TMZ that rapper Souljah Boy will be evicted from his Atlanta Home. He was served with an eviction notice stating that if he didn’t pay his mortgage of $4,725 by December 5th he would be thrown out. Could he be broke? He lied about buying a jet maybe he’s lying about all the other stuff. NO BUENO! Previous Kim Kardashian’s BFF Jonathan Cheban Is SERIOUSLY Suing Kris Humphries… Really?